Imperial size bricks made in the late 19th century were larger than modern bricks and therefore are still made for restoration purposes. An Imperial brick typically measures 225mm by 110mm by 65mm (or up to 70 or 80 in the north of England) compared with a Metric 215mm by 100mm by 65mm, whilst an early Georgian brick might measure 225mm by 95mm by 60mm or an Elizabethan 220mm by 105mm by 45mm. All these measures are approximate and might vary according to area, manufacturer or kiln firing due to shrinkage, which can vary across a kiln. Using a Metric brick to patch or extend an Imperial wall can result in a mismatch in the joint widths so should be always be avoided. W H Collier Ltd manufacture traditional handmade facing bricks and fireplace briquettes. Bricks have been produced on our site at Marks Tey since 1863. We use our own locally dug clay to produce a range of bricks, special shapes and fireplace briquettes.All of our handmade bricks are genuinely "thrown" by hand in the traditional way. 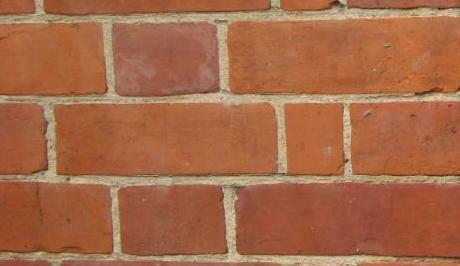 Handmade bricks from W H Collier have been used both locally, in Essex, Suffolk and nationally. Bricks include yellow and stocks, including imperials.